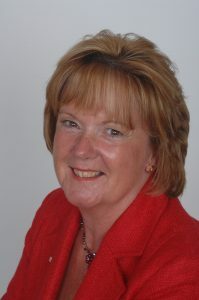 Carolyn has twice been Trustee and Chairman of the Communications Management Association (CMA) and is experienced in all aspects of ICT, especially telecommunications. Over many years she has provided leadership and strategic direction for the CMA which she represented at Ministerial, Chairman and Chief Executive levels with respectively Government, the Regulator and Industry. For some years she has also had close engagement with the government's UK Trade & Investment (UKTI) in the Department for Business , initially as a member of its Special Advisory Group and latterly as ICT Olympic Legacy Champion – tasked with identifying where ICT achievements at the 2012 London Olympics could be used to promote the UK's ICT interests before, during and after the event. She is also a member of Nominet's Stakeholder Policy Committee, and a long standing member of the Parliamentary Internet & Communications Technology Forum (PICTFOR). Carolyn’s career has spanned International Global Networking Management for a Trans-Atlantic Container shipping company, Independent Consultancy for a variety of major transportation organisations, being part of an SME start-up offering CRM analysis services, strategic management support working in a Corporate offshore call centre and external relationship activity for a number of UK and overseas clients. Throughout her working life Carolyn has been on the user side of the industry and her passions have been high quality and fair customer service, respectful staff management and value for money in all walks of life.